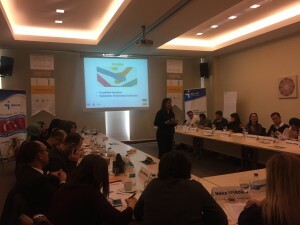 Under “More and Better Jobs for Women” Project being implemented by the International Labour Organization (ILO) and Turkish Employment Agency (ISKUR), approximately 100 ISKUR staff were given one-day gender equality training in November and December in the four project provinces namely Istanbul, Ankara, Konya and Bursa to build gender capacity for ISKUR staff and services. The participants stated they benefited highly from the training and it would be useful to deliver such training both within the institution and social parties. 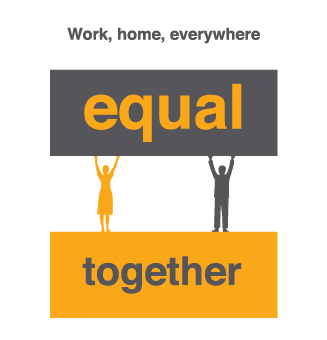 As one participant indicated below, it contributed to raising awareness on gender equality at work life. A team of gender trainers was created first in the central organization of ISKUR to strengthen ISKUR’s gender capacity and ensure sustainability. 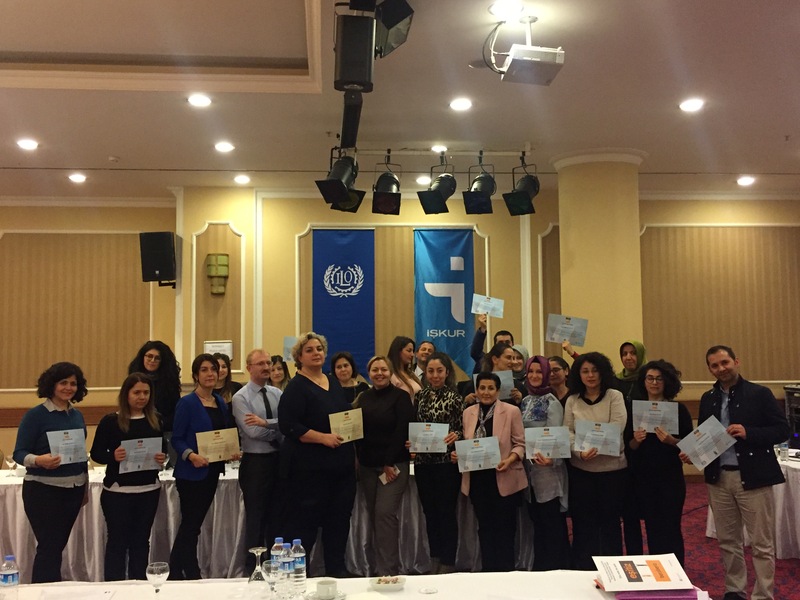 This team, consisting of employment experts, was given the training of trainers by local and international experts on “employment and gender equality” and “mainstreaming gender equality in public employment services” on 11-15 September 2017 in Ankara. Having received the training of trainers, the said ISKUR employment experts delivered one-day training sessions on 23 November 2017 in Ankara, 30 November 2017 in Konya, 7 December 2017 in Istanbul and 12 December 2017 in Bursa to ISKUR administrators, job and vocational counsellors in the project provinces in order to ensure local applicability of gender-responsive ISKUR services. The training delivered information on women’s employment in Turkey; contribution of women’s employment to women’s empowerment, family prosperity and national economic growth; basic concepts of gender equality; common problems experienced by women in work life whereas it also focused and included group exercises on the roles that ISKUR could assume on gender equality in work life and how to implement cooperation, job counselling and guidance. Following the training, trainers and participants were awarded certificates and thank-you plaques. 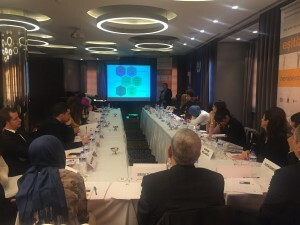 The training sessions were delivered under “More and Better Jobs for Women: Women’s Empowerment through Decent Work in Turkey” Project being implemented by ILO and ISKUR with financing support from the Swedish International Development Cooperation Agency (SIDA).